A Need for Needles - Acupuncture Does it Really Work? 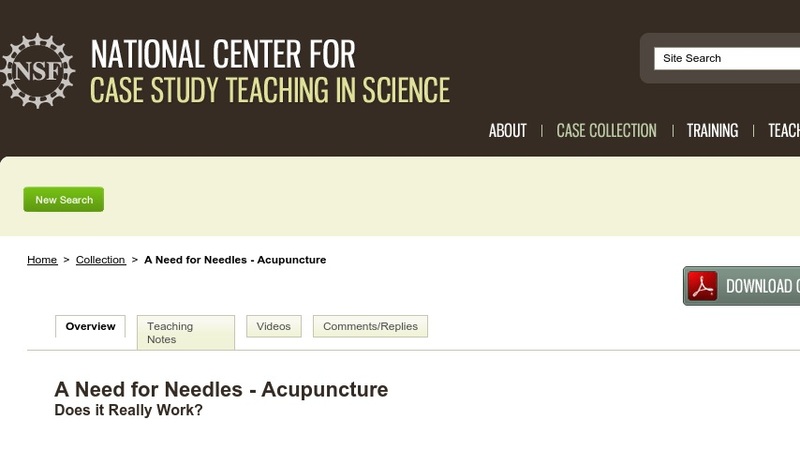 In this case study, students evaluate information about the use of acupuncture and consider the possibilities of alternative therapies while at the same time questioning their effectiveness. To complete the case, students collect information from Internet sources and journal publications from both a "pro" and "con" point of view, with an emphasis on carefully evaluating the credibility of the information they collect. The case would be suitable for introductory level courses in biology and science.